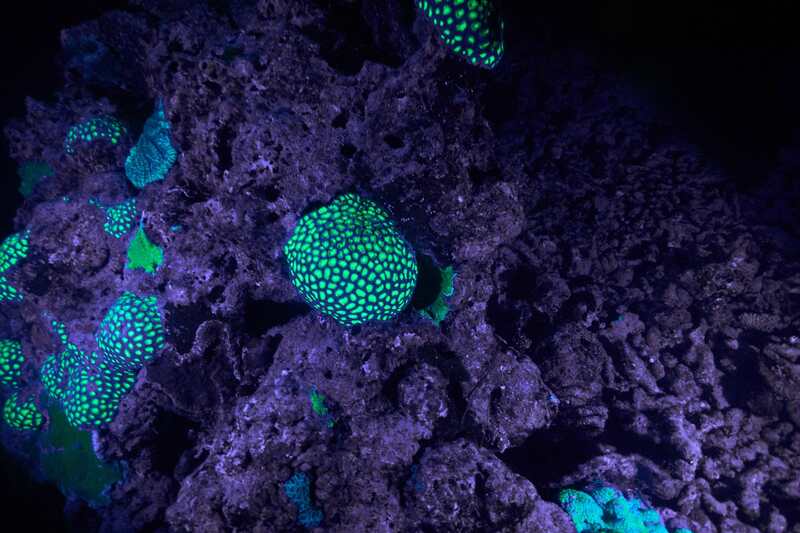 Got a dive light with UV and Blue light - does it work? Recently bought a Krakken 3500 dive light. 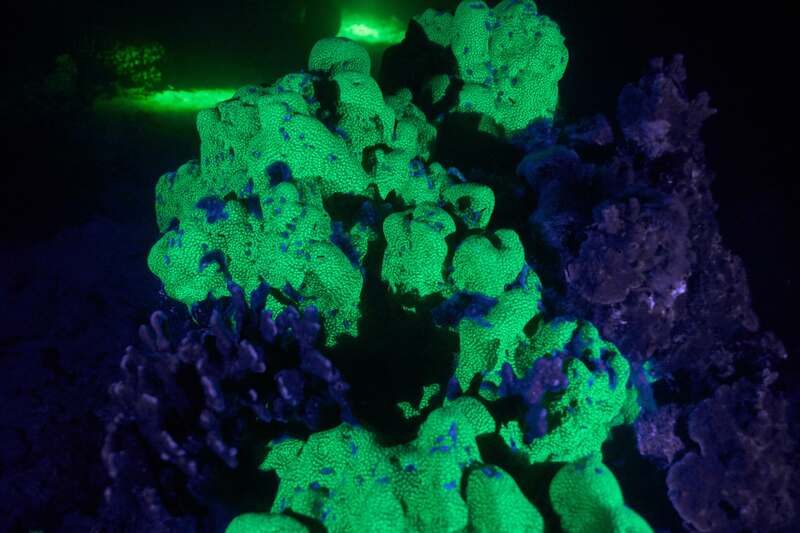 It has a setting where some blue and some ultraviolet LEDs come on for night diving. I'm intrigued, but have no experience. I read that you need to use yellow filters (both mask and camera) to really make it work well. I'm wondering if just playing with the white balance on the camera might eliminate the need for a filter. Also wondering where one gets a yellow filter for the mask. The very limited amount of light ends up requiring very long exposures (to the order of 1/2-1/5s) at very high ISO values (I was using auto ISO, it never went below the set ceiling of 12800). Next time I do it, I'll try using a macro lens. and concentrating the light. For mask filter, I'm using this - cheap but it works. 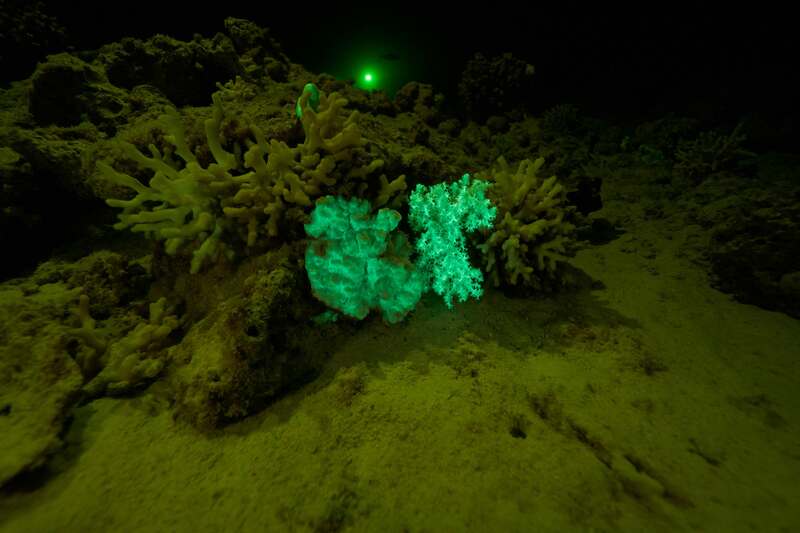 Note that if you have other divers in the water using regular white lights, they will drown out all the fluorescence.